Ciarán Carthy ran the first leg of the Irish U20 Men’s 400m team on Saturday in Abbotstown. Ciarán was timed at 49.80, and with three more excellent legs, the Irish U.20’s achieved the qualifying time for the European U.20 Championships in Sweden in July. Well done to all four on this fine result. At the AAI Games Kate Doherty finished 2nd in the 60m hurdles (8.65) to Sarah Lavin, not quite as fast as her last weeks PB run of 8.47, but another fine run for her. 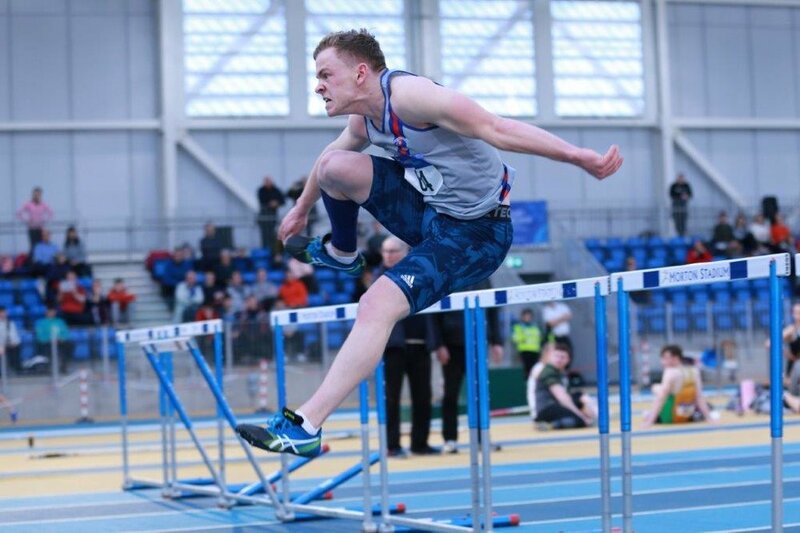 Also in action at the AAI Games were; Joseph Hastings 1500m 3.53.52; Aengus Meldon 800 1.54.89; Abbie Taylor 3,000m; Mark Conway 3,000m; David Dagg 60mH; Paul O’Callaghan 400m; Emer Finley 200m; Orla Walsh 200m; Rachel Dunne 200m; Hugh Gowing 60m; James Sullivan 60m and 200m.